The prices include full board with the rich breakfast and a wide choice of sweet and savory products prepared by us, with the possibility to take from the buffet what you prefer and have a snack where you want … with our gioiosabag, or to have lunch at the hotel . 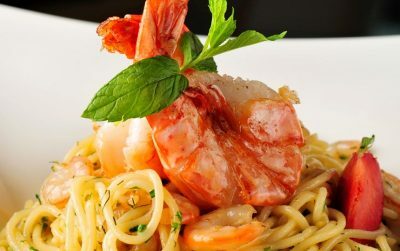 From 19.30 starts the dinner, with a wide selection of appetizers, vegetables, first and second courses of meat and fish. You can compose the dinner as you like! You will also have included water, Sangiovese red wine, Trebbiano smooth white and sparkling Pignoletto. 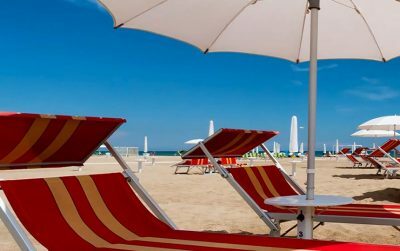 Prices do not include tourist tax (€ 1.50 per day from 14 years, for a maximum of 7 days), and beach service (+ € 8 per day per room). 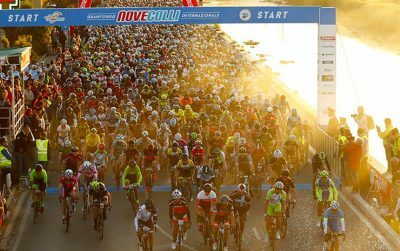 The Nove Colli is the most important sporting event in Cesenatico and for cyclists it has become the most famous Gran Fondo on an international level. Born in 1971 by the “G.C. Fausto Coppi di Cesenatico “, owes its name to the fact that the route (in the longer version) touches just nine hills, obviously with as many climbs, some of these notes to all fans, such as Barbotto where, among many, he tried also Eddy Merckx. 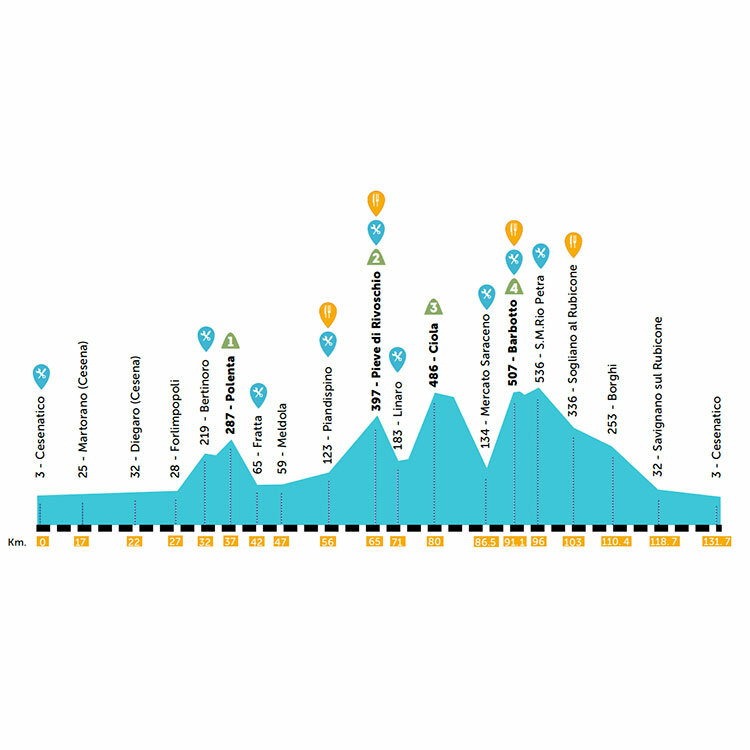 Discover the altitudes of the routes of 200 and 130 km. 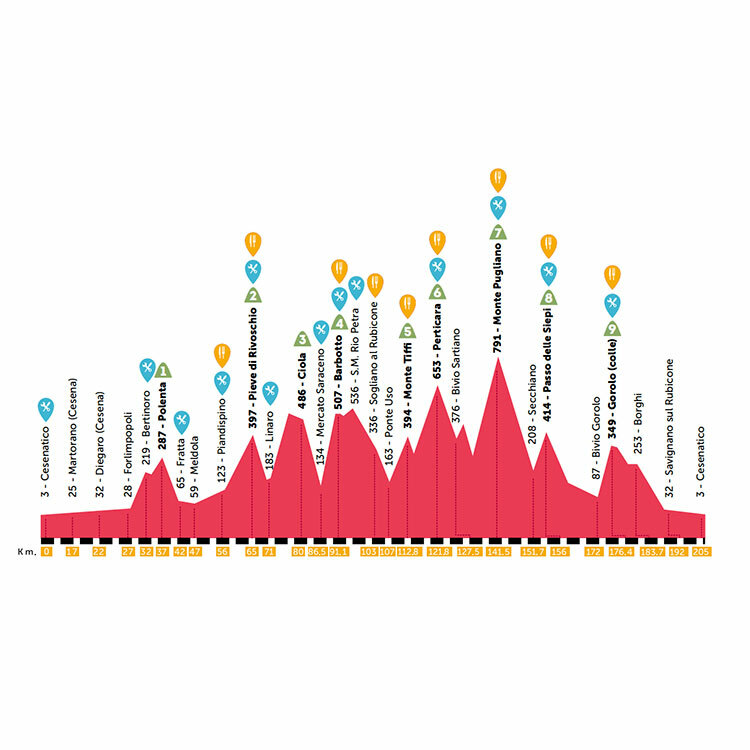 Both of them meander through the Romagna hinterland and share the route up to the legendary Barbotto climb, then divide: the 130 route goes straight to the sea, passing from Sogliano and gradually descending remaining hills; the route from 205 instead descends towards the bottom of the Us, and then face new asperities now entered the history of this race, and then, drawing a kind of ring, back to the coast where he awaits the finish line. Located near the point of departure and arrival, the Gioiosa hotel has always hosted cycling and sports groups, with their families, competitors to the Nove Colli. 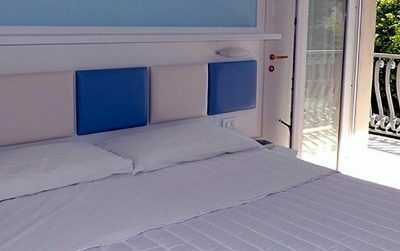 We are attentive to the needs of the athletes, allowing the custody of the bikes, as well as inside the hotel in an enclosed space, even inside the rooms of the respective customers for their greater tranquility. On the morning of departure, breakfast time is scheduled from 04.00, with a special menu dedicated to cyclists. We also accept any request from athletes with special dietary needs.